In April 2013, the Betim factory produced the unit number 13 million, after 37 years of its inauguration. After the official release of Fiat-Chrysler’s second quarter results, it is once again evident that NAFTA and LATAM keep contributing to the positive results of the group. This report, which I will closely analyze in a coming post, showed that NAFTA lead in terms of volume, revenue and profits, while LATAM, (Brazil and Argentina mainly) followed in second place, as it has become usual in the last years. LATAM counted for 21,5% of the group’s registrations in 2013-Q2, and Brazil counted for 83% of that number (215.000 units). 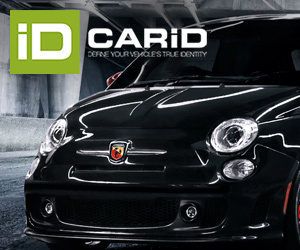 Therefore it is a very important market for Fiat brand and the whole group. Currently they are building a second plant which will be ready next year and will be the home for the production of more existing models, and new ones. 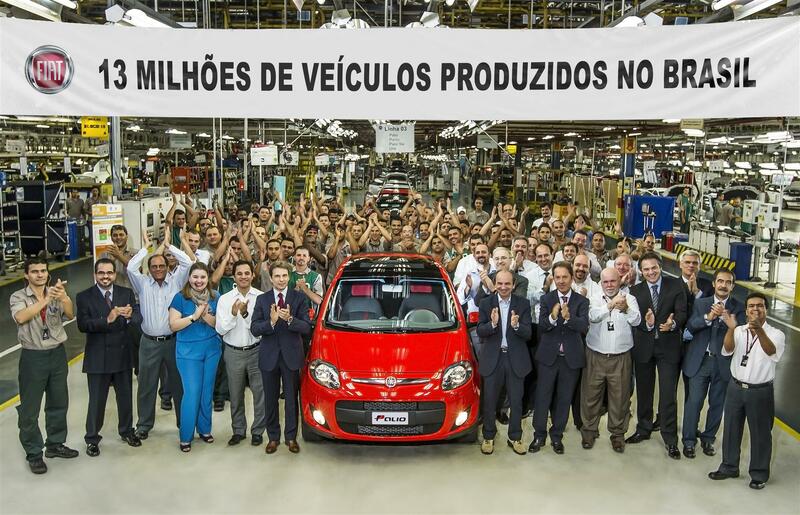 The key for the future success of Fiat in Brazil will depend on what models will build the company in this new factory. The development and positioning of these new cars will determine how Fiat will be able to maintain its leadership in this important market. 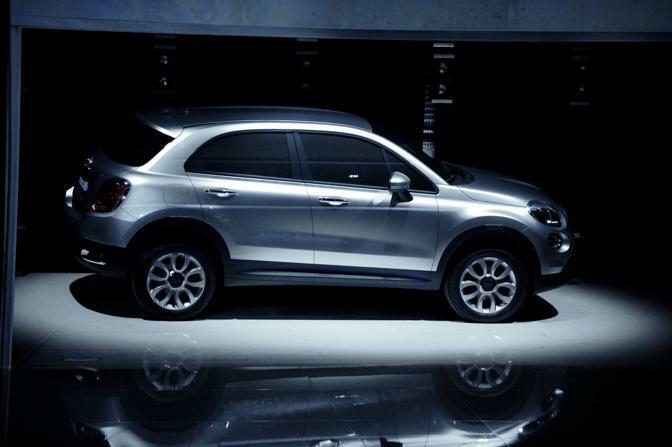 Is the Fiat 500X going to be produced and sold in Brazil? the success of the Ford Ecosport and Renault Duster is an example of how a small SUV can work in both sides of the Atlantic. 3 all-new cars are expected to hit the market in the coming 2 years. This information is based on an article published by Car & Driver and Autoblog Argentina, in which they talk about 2 new SUVs that will be built in Brazil. Of course, they talk about the B-SUV, known in Europe as the Fiat 500X, and a larger one, that according to them, will replace the Fiat Freemont/Dodge Journey in 2015. This source mentions the possibility that the B-SUV could be the same European-made Fiat 500X, that could be presented in July 2014 (following the Fiat 500’s anniversary) and introduced in Paris 2014. But other unofficial source informed me that the small SUV for Brazil would be different from the 500X. I believe that both models, the European and Brazilian one, will share platforms and many components, but they will be clearly differentiated to satisfy local demands (just as it happens with the Fiat Panda/Uno). Fiat must accelerate the arrival of this important product if it wants to have an important position in this growing segment. In 2010 Autoblog Italia published this rendering made by http://www.imraododecio.blogspot.com. It shows how they think the new Fiat city-car will look. Fiat needs urgently a small and cheap car to continue with the legacy of the Mille. The other key product is the new cheap city-car that is supposed to be the real successor of the Fiat Mille. I have no source for this information, but it is based on the common sense that indicates that Fiat must be preparing something once the Mille won’t be available anymore. While it says goodbye with a special edition, the brand won’t be able to sell it anymore after January 1st 2014, when a new security legislation will apply in MERCOSUR markets. The absence of the Mille will mean no competitive products for Fiat in the base of A-Segment, as the Palio Fire is more a B-Segment option. Fiat is highly dependent on cheap cars and that’s why a car with these characteristics (small, affordable and fuel-efficient) should appear as soon as possible. The new Uno has demonstrated to be a good seller, but its recent sales records have dropped and a big part of them are coming from Mille’s registrations. Not offering a car below the R$24.000/8.000 euro price is a risk that Fiat can’t take, specially now that competition became more difficult with the arrival of Hyundai. The name or possible date of launch of this basic city-car isn’t clear at all, but Pernambuco factory extra production explains that something big is still to come. Fiat should be selling around 20.000 units of the B-SUV during its first full year in the market. The new cars are supposed to help Fiat to increase its share in the private market, where it has a 16%-17% share. That’s far away from Fiat’s numbers in the non-private market (companies, rent-a-car), as it is the absolute leader with an average share of 34%. In other words, around 40% of Fiat brand sales in Brazil correspond to Non-private’s, and this market is usually 25% of total market. 1 out of 3 new cars sold to the companies is a Fiat. 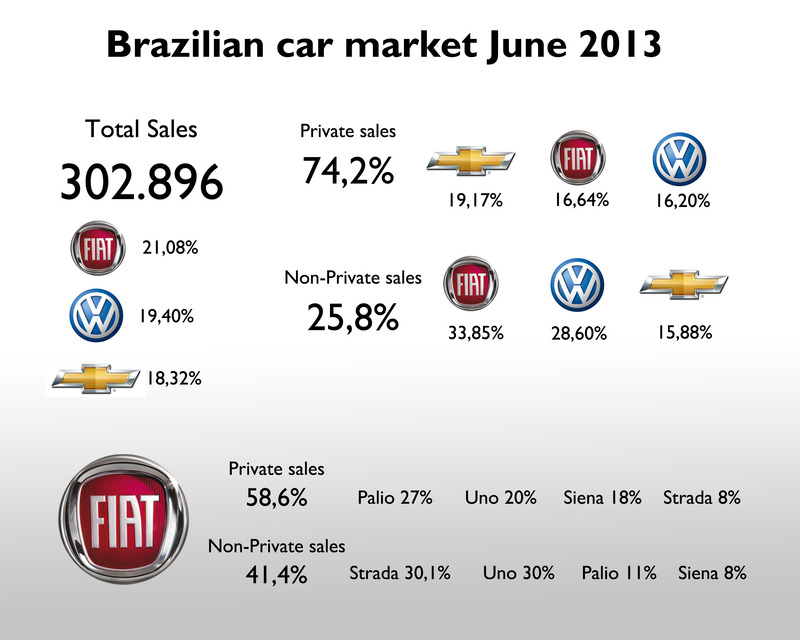 In the private market (final consumers), Fiat occupies a second position, after Chevrolet, and just ahead of VW. Considering both markets, Fiat leads the market with 21% average share. A new city-car would boost Fiat numbers in private market, as it wouldn’t be a popular model among companies. 2 new SUVs would have the same effect, and in this way the Italian brand would balance its private and non-private sales according to the market. Source: Autoblog Argentina, Carplace Brazil. Thanks to my friend Yves Milliere and his great site Auto Latam Analysis. Let me help you with some information. The sucessor of Mille will not be made in the new factory (which will only build high up segments cars). I know it is in Portuguese, but, it will give you an idea about Fiat’s plan. Fiat is testing a lot of cars (including VW Up!, Fiat Panda (new and old generation), to launch a brand new car in Brazil. About the new factory, it will be delayed to 2015 (6 months delay), and it will build Jeep/Chrysler cars and Fiat (up segments). Alfa Romeo is not confirmed for this factory yet. Thanks Leonardo for your clarification. As you’re there in Brazil and you’re following Fiat brand is always good to get some feedback from you. Obrigado! Hello friends. I am Brazilian, and I’ve always been an admirer of the FIAT brand. Currently I have a fiat punto evo, which was released here in Brazil last year. The fiat cars are very popular and well accepted here in Brazil, except the brave and fiat fiat linea, suffering a huge bias on the part of some consumers who label the Fiat car brand as popular and therefore can not get a fiat great success in the c segment. I personally, am a big admirer of the fiat bravo, and despite the low sales and high devaluation of the vehicle here in Brazil, is undoubtedly one of the best cars produced by fiat in the country, and much higher than the current golf IV and focus that are still sold here. I believe that the brave will lose even more sales, because by the end of this year, chegare is a shame he quit line here in europe, since here in Brazil, it should have more like 6 years of production at a minimum. The big idea of fiat to continue in leadership here in Brazil should be the production of substitute fiat mille, which is one of the most celebrated cars in the Brazilian market, and very well accepted, but because vehicle safety requirements, will be withdrawn from line. I’m hoping that the fiat keep treading a track here in Brazil, and to bring back the models of alfa romeo. with certainty, alfa romeo gain a good share of the premium segment of the market. Sorry for any sfalhas in English! Brazilian greetings! Just received an important news. The mille sucessor is going to be Fiat Fire (not sure if it will be forever, or until 2015). 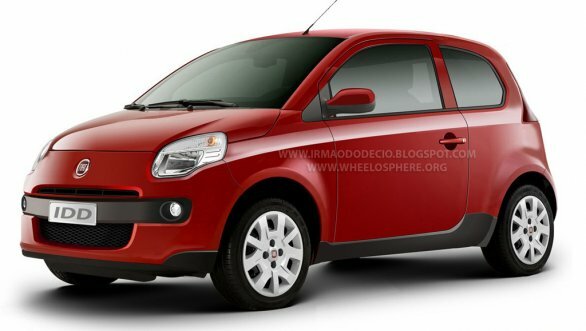 Basically, Fiat will change the interior and will give a discount of R$ 2.000 in Palio, to be the same price of Mille (around 22.000). Fiat is going well in Brazil because invest a lot of money there. The contrary is happening in Europe.